Extra-soft, quilted and scented – that’s the push many manufacturers are now lending multi-ply their toilet papers. Is the American tush really that cherished that we need to chop down virgin wood just to pamper it silly? That’s the question green campaigners have been raising recently, as the market for luxury toilet paper makes an unprecedented growth. No longer content with wiping their soiled bottoms with just standard toilet fare, consumers are purchasing more of the conspicuously-manufactured specialty variety that critics claim does more damage to the environment than driving a gas-guzzling Hummer. “For bath tissue, Americans in particular like the softness and strength that virgin fibres provides,” said Dave Dixon, a spokesman for Kimberly-Clark, who spend upwards of $20 million in advertising quarterly to convince people of the merits of luxury toilet paper. 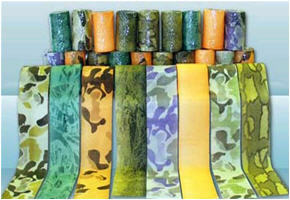 Dixon noted that recycled toilet paper fiber has been in the market for years and people could buy them if they wanted to – but they aren’t. He isn’t lying either. The New York Times, in fact, reported a 40% increase in luxury toilet paper sale in 2008. Despite the financial crunch, those numbers only look poised to even grow. Just how Americans, who are among the most vocal when it comes to promoting environmental awareness, can continue to live with the wasteful consumption of toilet paper without batting an eyelash is certainly an odd case. What is the solution to all this? Greenpeace recently launched a list ranking toilet paper products in terms of their environmental impacts, in hopes of encouraging people to buy more of the less-wasteful kind. Many other eco-conscious people, though, have long found a better alternative: paper-free bidets, that wash your bottom clean instead of requiring you to wipe it down. Don’t you think it’s time you made a real change?